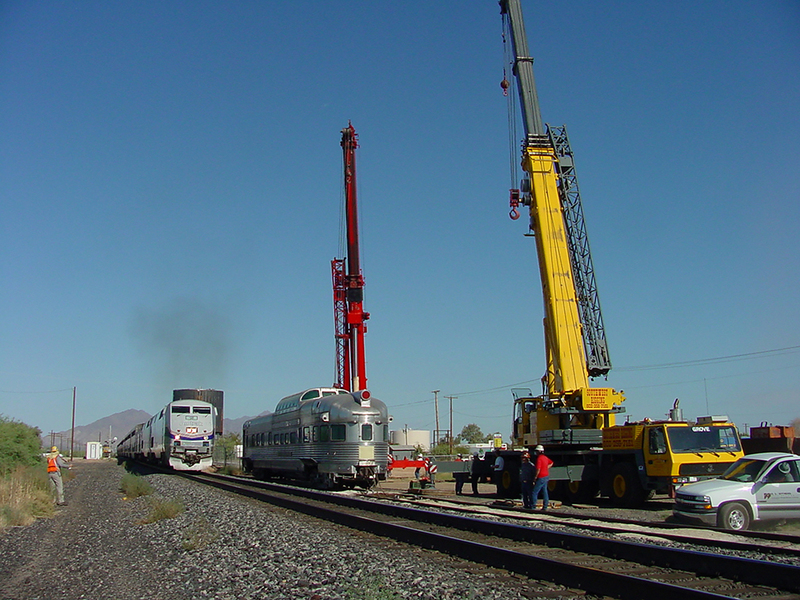 The historic California Zephyr railcar (right) makes its 2001 debut in Maricopa and is greeted by a modern Amtrak train (left). The railcar, which was first in use in 1949, ran the Chicago-to-Los Angeles route until its retirement in 1970. Pinal County purchased the car and brought it to Maricopa in 2001 as a symbol of the town’s historic past. Maricopa Historical Society was allowed use of the Zephyr for occasional tours and history displays. This year, the historical society bought the Zephyr from the county for $1.